The future and sustainability of engineering as well as the impact it has on our everyday living will be amongst the many topics that will be discussed and presented at the third annual UNESCO Africa Engineering Week being hosted at the Nelson Mandela Metropolitan University on 28 & 29 September 2016. The Department of Science and Technology (DST) and the Engineering Council of South Africa (ECSA) in conjunction with the Nelson Mandela Metropolitan University (NMMU) was tasked to create a platform to discuss opportunities, challenges and solutions that is experienced in engineering in Africa. 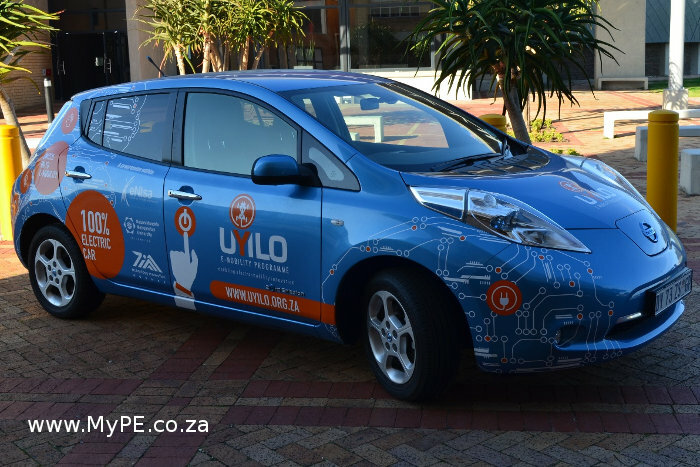 In addition to exhibiting the uYilo electric vehicle will be industry partners and institutions such as the National Research Foundation, Continental, Bosch Projects, South African Institute for industrial Engineering, eNTSA, Armaments Corporation of SA, NMMU’s school of engineering and graduate programme, Consulting Engineers of South Africa and the Council for scientific and industrial research. One of the primary aims of the 2 day event is to educate the youth, public and industry about the various engineering initiatives and opportunities that exist and to raise awareness of the impact engineering has towards a sustainable future. Woman in Engineering will be one of the spotlights at the event as the need is for our youth to take a keen interest in the different engineering disciplines, particularly female scholars. Local schools and students around Nelson Mandela Bay have been invited and will participate in the activities aimed at scholars with mathematics and science academic interests. The conference and exhibition will also enable engineers to earn 2 CPD points issued by the Engineering Council of South Africa (ECSA). Previous: Almost as good as diamonds on the soles of your shoes!